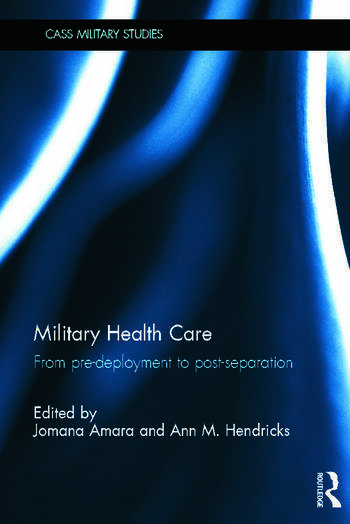 This edited volume surveys critical aspects of modern military health care in the US and various other Western countries with troops in Iraq and Afghanistan. In the United States, the military medical system, including care for veterans, is large and diverse and involves two institutions, the US Department of Defense (DoD) and the US Department of Veteran’s Affairs (VA). Studying the system gives practitioners and policy-makers an understanding of the larger picture of the military medical structure, facilitating thought about some of the difficulties and opportunities for coordinating treatments and preparing for the future. This book covers health care issues prior to deployment, such as screening for mental health, evaluating long-term consequences of exposure to military service, and provision of insurance; care during a conflict, primarily battlefield clinics, battlefield trauma care, and evacuation procedures; and post- combat care, including serious war injuries, psychiatric, and long-term care. Bringing together research from a wide range of contributors, the volume provides readers with an extensive, up-to-date source of information on military medicine. This book will be of great interest to students of public health, military sociology, the Iraq war, US public policy, and war and conflict studies in general. Jomana Amara is Associate Professor of Economics at the Defense Resources Management Institute and Naval Postgraduate School in Monterey, California and a Fulbright Scholar. Ann M. Hendricks directed Health Care Financing & Economics, a research center at the VA Boston Healthcare System. She is also an Associate Professor of Health Policy and Management at Boston University’s School of Public Health.